#1: Read the entire Bible in a year. If you have not yet read the entire Bible, I strongly recommend this approach, especially if you have been a Christian for awhile. It’s important to get the big picture of the Bible and what better way than to read through the whole book? The Daily Bible by F. LaGard Smith. This particular book only comes in the NIV as far as I am aware, but what I like about this particular bible reading plan is that it places the Bible texts in chronological order. It also has the day of the month in the top margin so you can keep track of where you need to be. The compiling author (F. LaGard Smith) puts commentary in front of many of the readings which may or may not be to your liking. I found it helpful when going through the prophets, but some may disagree with his comments. It can always be skipped! Reading the Word of God is the goal, not someone’s commentary. The One Year Bible: The Entire English Standard Version arranged in 365 daily readings. I really like the English Standard Version (ESV) because it is a bit easier to understand in today’s vernacular. One very nice aspect to this particular setup is that you get a passage each from the Old Testament, New Testament, Psalms and Proverbs in each daily reading. This may appeal to someone who has gotten bogged down in the Old Testament even though they really wanted to get to the New Testament. One negative aspect to this approach: it might be harder to really absorb the context by reading from so many different passages at one time. You must decide what works best for you. YouVersion Bible App. Hands down, this is my favorite Bible app to date. I’m not saying it’s the best one, it is simply the one that I’ve had the least trouble using. You can use it on your smartphone or tablet. Within the app, there is an icon at the bottom of the screen that says “plans.” Select that icon and a list of plan types will appear. Select “whole bible” and it will give you a list of various plans available (The ESV Study Bible is similar to the One Year Bible listed above). The great thing about their plans is that they give you the date you are on and they will send you notifications if you need reminding. So, you have a monitor, a measure and a reminder. If you enjoy listening to the Word, this will also be a useful tool because you can do your “reading” while driving to work or folding laundry. Some people concentrate better if their hands can be active while listening. Again, know thyself! Bible Gateway Bible App. (see also the online plans here.) This is also a great app, though it is a bit newer to me than YouVersion. Again, you can select a reading plan on the app and it also gives you the option to have a daily reminder. This One-Year plan actually gives you the option to select your start date! You can select your reading plan and go from there. I haven’t figured out how to “listen” to the plan via audio so if one of my readers knows how to do that, please let me know in the comments section! There are many more tools out there, these are simply ones that I’ve personally handled. First, if you fall behind, catching up is hard. The best thing I can recommend is don’t fall behind for more than a day. If you do fall behind by a week or so, you may want to simply jump to your present date and start from there so you can continue to monitor. The only problem is, of course, that you’ve missed out on that text, but if it keeps you motivated to read daily, then do it. Second, try not to rush through your reading. The temptation with a one-year plan is to simply “get through it” and fail to actually absorb and learn from what you are reading. One great thing about listening to the Bible versus reading it (for me) is that it slows me down. I enjoy reading, but if I find myself skimming ahead or skipping around, then I need to go back and do the audio version so I pay better attention. I fall into this trap, particularly with books I am very familiar with or in genealogy sections. Write down the 12-24+ books of the Bible you want to read for the year and name each month. For example: January – Proverbs, February – Hebrews and James etc. If you get through the book early, then go back and re-read it or move on to the next book in line. Look at the number of chapters and decide whether you need to include more or less books in your designated month. Do 30-day reading plans from your Bible App. The YouVersion App has a plan called “Let’s Read the Bible together” and it is setup for each month of the year. I have not used this plan, but again, it is a way to measure and monitor your progress. #3: The Absorption approach. This one is a bit more advanced and requires more self-discipline. To do this approach, have a calendar or daily to-do list with your “Bible Reading” as a check-off box. Make time each day to read or listen to a minimum of one chapter. You might end up reading the same chapter or same book a few times until you really grasp what is being said. I read through Ecclesiastes 3 times in 3 days because I was just having such a hard time focusing on the message. What does this passage teach me about people (myself included)? How does this tie in to God’s plan of salvation? You may not be able to answer every question, but use them as a way to dig a little more effectively into the text. #4: Chapter-per-day approach. If you are struggling to get in the habit of daily reading and the above plans seem overwhelming, then this is where I suggest you begin. The primary goal is to read from the Bible each day. Like prayer, I suggest you start with meal times. People don’t typically skip meals. When you sit down with your family for dinner, read a chapter aloud after the meal. Make it part of your daily routine. Begin in January, with Proverbs. There are 31 chapters in Proverbs—one for each day of the month. After that, move on to the Psalms. From there, go to the New Testament and read from Matthew to Revelation. Once that is completed, start in Genesis. One chapter a day isn’t that daunting until you get to Psalm 119, the longest chapter in the Bible. Make sure that you make a little more time for that one. I hope these ideas are helpful to you. It’s important to make a plan that is realistic and one that you will stick to. If you have additional suggestions or tools, please leave a comment below so we can help one another grow closer to God through His Word. Great suggestions. Very practical. Be blessed. God is with you. Thank you, Michael! God be with you also. Thanks for sharing this post! God be with you! You’re welcome Elihu, and Lord Bless you and yours! Very practical and timely. I happen to love YouVersion App. Yes! YouVersion is awesome. I particularly enjoy the speaker who does the audio ESV. He has a calm, measured voice and puts just enough inflection to keep it interesting, but not so much as to detract from the text. Humm, wonder how I missed this post! I LOVE reading the Bible DAILY and thank the Lord for putting role models in my path to help me see the value of it. These believers are amazing Christians, really bear all the fruit of the Spirit…and then I find out it’s because they have been reading the Bible daily, and thus from cover to cover each year! So glad to see this post. A few times I had to leave the house so early, I couldn’t get my reading done first (my daily goal). So I did let the Bible app read it to me. I loved it! So I just looked at the BibleGateway app. It seems to be something you set up from the “home” page if that is what it is called. Look for the three lines on the top left corner, click it and then you will see “Go to Dashboard” “Bible” “Search” etc. And near the bottom is “Audio” where you set it up. On YouVersion, not all versions have it. But on most that I use, i found it with the typical audio icon. Thank you for sharing your experience. I do think that when we make God’s Word part of our daily routine, we give the Spirit more to work with through us and thus bear the fruit of the Spirit. 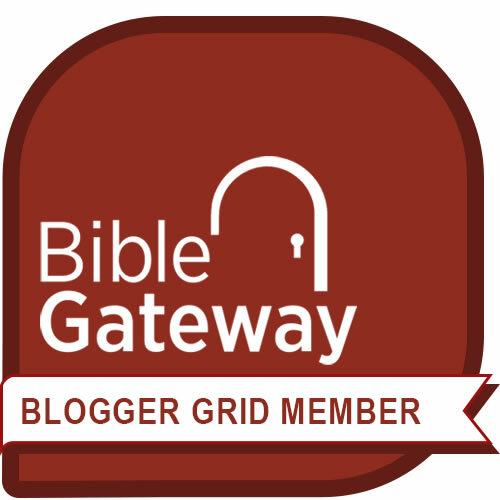 I really appreciate the insight on how to use the BibleGateway App. I tend to prefer the YouVersion App for Bible Apps and use Bible Gateway for research. We are truly blessed to have so many tools! I’m the same, use BibleGateway for the commentaries. I prefer the plans, etc in YouVersion. And yes, God’s Word on a daily basis….to bear fruit of the Spirit!